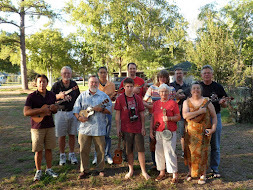 Houkulele is Houston’s ukulele club, a vibrant community of players of all ages and skill levels. 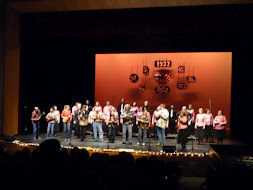 We represent the culturally diverse Greater Houston Area and have fun encouraging each other to grow musically while connecting with the public through our shared love of the ukulele. Want to contact us? Join our Facebook group! 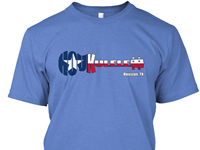 Galveston Mardi Gras 2016 - Times, Bus Transport, and More! I talked with the Krewe this afternoon and here is the latest you should be aware of. Also note I have put together some maps showing the Moody Garden Parking Garage/Parade Start at the Galveston Convention Center and the Parade End near the Galveston Cruise Ship Terminal and the Train Museum. Parade starts from/near the Galveston Convention Center on Seawall Blvd at 6:00 PM Saturday, January 30th. The Krewe of Gambrinus buses start loading a 3:00 PM to take participants from the Moody Garden Convention Center Parking Garage at 1 Hope Road in Galveston to the “Party Zone” at the parade start. There are 5 buses and when the last one leaves that will be the end of the Krewe transport from Moody to the Parade start. It is estimated that the last bus will leave the parking garage at 3:30 to 3:45 PM. They leave as they are filled. If you miss the Krewe buses come to the Galveston Convention Center on the Seawall and park in their parking structure. The Seawall will be closed from 61st Street East, but you can get to the Convention Center by taking off before you get to the Seawall and come in the back way from say 57th or so (see the map). When you get to the Houkulele Truck/Trailer ask around and get a ride from one of the others that made the Krewe buses from Moody to bring you back to your car at the Convention Center at the parade end. The parade will end near the Galveston Cruise Terminal and the Krewe Buses will be waiting at the Train Museum to take you back to Moody Gardens. 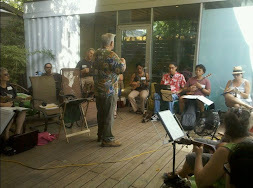 If you have a ukulele that is capable of being plugged into an amp, please bring it. PS You can download a PDF file of the parade/parking locations here. I talked with Larry Thompson our Krewe of Gambrinus coordinator and he has graciously set up parking and transport for us for the parade. For those who cannot make the Krewe buses from Moody Gardens or prefer to come later then you should come to the Galveston Convention Center and park there and make your way to the “Party Zone” or Parade Start area and find us. The parade ends near the Galveston Cruise Terminal...we should be directed to follow the floats to the front of the Train Museum which is where the Krewe buses will be to pick-up the Krewe members and us and transport everyone back to Moody Gardens. If for some reason we are guided by the police to the Cruise Terminal Parking lot (where normal band buses are staged) don’t panic...it is only a short walk to the Train Museum to catch the Krewe buses. I would ask that those who parked at the Galveston Convention Center board the Krewe buses and ask around our group and see if they can catch a ride with someone who has parked at the Moody Garden Parking Garage to take them to the Convention Center so they can pick up their cars. Please...if you are asked to ferry these members be gracious and concede a ride. 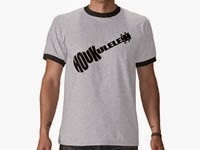 Larry Thompson has invited Houkulele members to join the Krewe at Moody Gardens for their Post Parade After-Party. The cost is $35.00 a head (same as the Krewe) and there will be adult refreshments and a breakfast served as well as a live band and dancing. If anyone is interested please let me know so I can give a count to the Krewe. Here are some of the plans and details of the Mardis Gras Parade you should be aware of. 3) Songs and chords have been/will be posted on this site...please practice! 4) There will be Gatorade and water available. BYOB if you want something else. 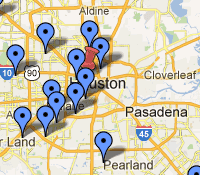 Truck/trailer to be assembled on Thursday afternoon-and Friday in West Isle on Galveston Island. (If you are available to help assemble on Friday let me know) Final decoration touches to be done after spotting in the parade lineup on Saturday. 7) Parade scheduled to start at 6:00pm The parade route runs along Seawall Boulevard, turns north on 25th Street and winds through the Historic Strand District in downtown Galveston. Parade duration is about two and one-half hours and ends near the Galveston Cruise ship Terminal. 8) Transport: The Krewe of Gambrinus has offered to help us again this year. They are going to bus their participants back from the parade end to Moody Gardens, (where their after‐party is). We could hitch some rides with them so that personnel can get to Moody Gardens if they will park their private vehicles there and carpool to the start of the parade. The parade start is near the Galveston Convention Center Parking Garage. Since we have to somehow get people shuttled from 1) Moody Gardens (to the parade start), 2) Parade end (most likely walk to where the Krewe catches their buses) to Moody Gardens, 3) Moody Gardens to Galveston Convention Center (parade start if people park there or for car pools from Moody Gardens). There are ample parking spaces at Moody Gardens as well. 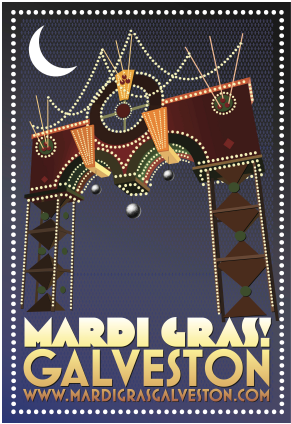 Galveston Mardi Gras 2016 - Sign-up! UPDATE: Sign-up is closed. Still want to join us? Come on down! Galveston Mardi Gras 2016 - It's time to practice! Time to start thinking about Mardis Gras in Galveston, and our parade sponsors The Krewe of Gambrinus! I just received our official invitation, to which I responded affirmatively. The parade is Saturday the 30th of January this year. Parade starts at 6:00 pm on the Seawall near the Convention Center. The theme is "Circus" so any appropriate costume would be welcome. Details still to be worked out, but will most likely be similar to last year. "Man on the Flying Trapeze"
the same for "Baby Elephant Walk"
Any other suggestions welcome. Eric Hesson has agreed to provide a practice video like last year. Now that Thanksgiving is behind us, it is time to begin preparations for the upcoming Mardi Gras festivities in Galveston. The 27th annual Krewe of Gambrinus "Lights up the Night" parade will occur on Saturday evening January 30. Staging will begin after 4 pm along Seawall Boulevard with the parade commencing at 6 pm. Band members will be guided into their starting positions by parade officials dressed in RED suits. Band buses should approach Seawall Blvd on 59th Street, offload their participants at Maco Street and exit northbound along 57th Street. Buses will then proceed to the waiting area located at the Cruise Ship parking lot on 25th Street and Harbourside Dr. The parade will terminate at the intersection of 25th Street and Strand where all bands will be directed to the buses. The theme of this year's parade is "The Circus." The Honorary Parade Marshall is Beaver Aplin who is the founder of the popular Buc-ee's chain of Texas convenience stores. His personal float will lead our large parade with over sixty participating groups which includes thirteen bands. Expected attendance should exceed 200,000.